Oh, baby! We are so excited to announce that our second annual Mid-Mo Baby Expo is coming back to Columbia! Once again, we have partnered with Boone Hospital to bring back this event that's one big "bundle of joy!" The Mid-Mo Baby Expo will take place Saturday, June 1, 2019 from 8am to 12pm at the Holiday Inn Expo Center. What could be better than attending such a joyous event? Sponsoring it! We are excited to invite local businesses to come alongside us to put on this fun event for our community. The Mid-Mo Baby Expo will be filled with happy mothers and mothers-to-be who are anxiously awaiting the arrival of their newest little family member. They will be seeking out advice, tips, and tricks from the industry experts. If your business' customer base includes this demographic, then this event is definitely the perfect place for you! 1. Publicity, Publicity, and More Publicity! Last year's inaugural event was a huge hit as hundreds of consumers traveled from all across Mid-Missouri to attend. These local Moms, Moms-to-be, and their families and friends were all eager to join in on the fun and learn more about the businesses in attendance. We're expecting this year's event to be even more successful! This means lots and lots of publicity for the businesses who make the wise decision to be a sponsor. The Mid-Mo Baby Expo will be a chance for your business to put its name out there to attract new customers, while also engaging with existing customers. Sponsoring an event is great exposure for your business because you can reach tons of people in so little time! Not only that, but an event of this magnitude is great for increasing overall brand awareness in the community! Last year, one of the most exciting parts of the Mid-Mo Baby Expo were the free takeaways that attendees received, namely the swag bags! These swag bags were stocked with promotional products from our business sponsors and every attendee was able to one of these home with them. That's good news for businesses considering that research indicates that 85% of consumers admit to doing business with a company after receiving a promotional product from them. Swag bags are just one more way to get your product (and your name) in the hands of consumers right off the bat! Do your customers know everything about your business? Probably not. Face-to-face interactions with your target market are fantastic ways to expand on what your industry or business does. Events give you a unique opportunity: You can be the teacher; consumers can be the students. Event-goers will come to you to learn more about what you can do for them. By educating, you can clear up any misconceptions or confusion that your target market may have about your business. The opportunity to educate your audience in-person simply cannot be beat! Not only that, but recent studies indicate that 74% of consumers say that engaging in memorable moments with businesses makes them much more likely to buy their products and services. Give them a memorable moment they won't soon forget by being positioning your business as an expert event sponsor. Lead generation is one of the most valued aspects of sponsoring an event. You can even generate leads right at the event itself. Various ways to continue this lead generation during the Mid-Mo Baby Expo can include sponsoring a giveaway with a certain prize from your business. You could also have your own raffle at a booth: People would fill out their contact information, throw it in a jar, and there you go! You have a lead just like that. A great way to continue lead generation once the event ends is by asking for attendees' emails so you can properly nurture those leads by opening communication even after the event ends. For the host of benefits that the Mid-Mo Baby Expo provides, sponsoring this event is a very cost effective investment. Don’t forget: your expenses are going toward your exact target market so you will see a greater ROI with these marketing efforts. By generating qualified leads at the event itself, your dollar will go much farther with such a direct and measurable form of advertising. Who doesn’t love to make money and have fun at the same time? Events like the Mid-Mo Baby Expo offer the opportunity to sell your business’ products and services on-site. Many businesses bring in their product to not only educate, but to sell and make their money right back on the spot. Event sponsorships are a popular and trendy form of advertising in today's world. Your business can, and should, capitalize on this! 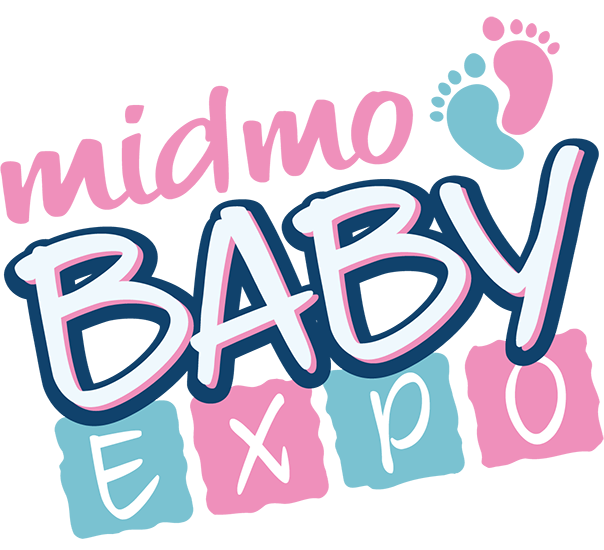 Stay on top of the trend, increase your chances of standing out, and remain top-of-mind by becoming a Mid-Mo Baby Expo sponsor. Consumers pay close attention to businesses that are involved in their community! Local businesses can especially benefit from this by putting their business' name in the spotlight and meeting people in the community. There is nothing better than creating new, long-lasting relationships in such a fun environment! Not to mention the goodwill that consumers will associate with your business after seeing your efforts to be locally involved. Promoting our events is high on our priority list (and as a media company, promotion is simply what we do best!). We begin promoting the Mid-Mo Baby Expo months in advance via our radio stations using both ads and promotional mentions, our magazines, E-blasts, social media posts, and more. We definitely do not hesitate in doing our part to attract all of the local Mid-Missourians who fit your business' ideal target market! We're expecting the Mid-Mo Baby Expo to be a fun-filled environment for everyone! But not only will it be fun; it will be effective for all of our business sponsors! When consumers see that your business is participating in such a fun event, they will connect you with the great time they had. Has one (or more) of these benefits inspired you to sponsor the Mid-Mo Baby Expo? Click below for more information!